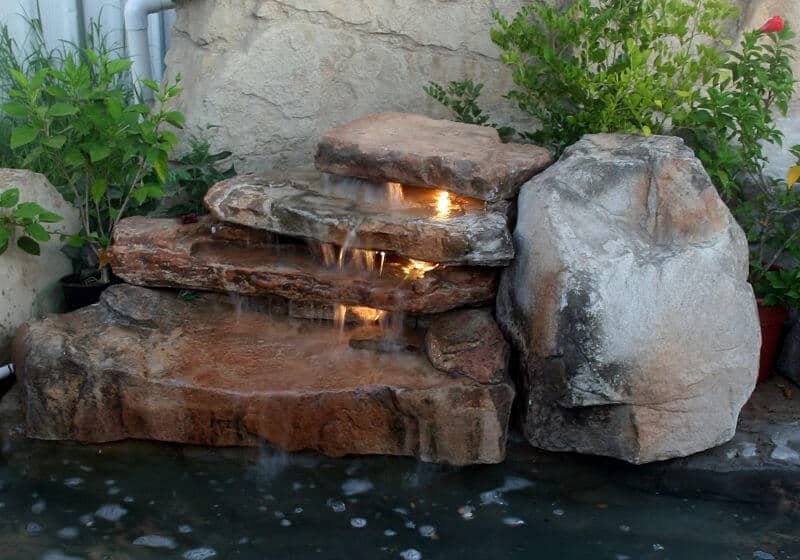 RicoRock’s signature products are kits of lightweight cast concrete rocks that are mortared together on an existing concrete deck or waterfall pad. 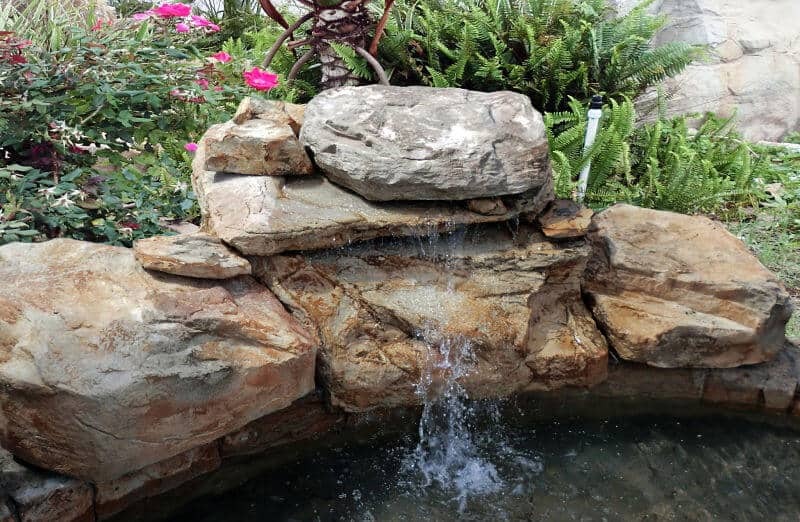 Click on a waterfall image to view the gallery. 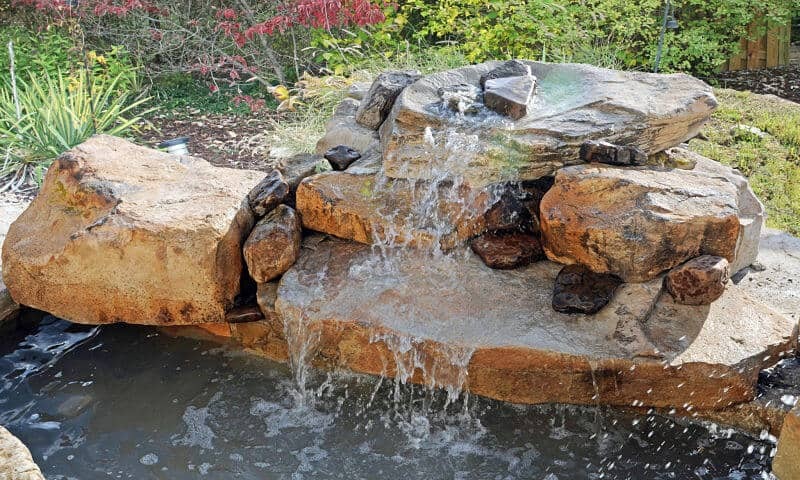 The Stream Section has a 3 inch lip that overhangs the pool beam; a liner type stream can be added at the back or a waterfall kit. 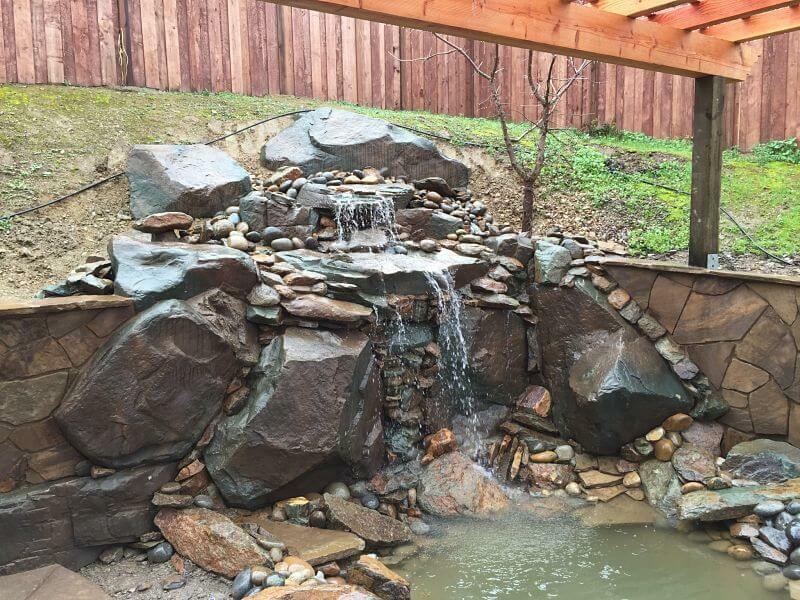 Rounded boulder style waterfall with a 3 inch lip to overhang pool edge. Cast pieces can be purchased separately. 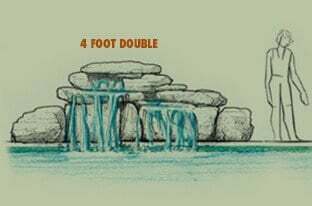 Cascade type waterfall with rounded boulders and ledgers. 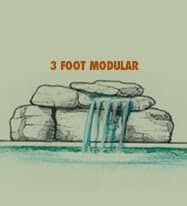 Available with a one piece Stream Section that gives more depth to the waterfall. 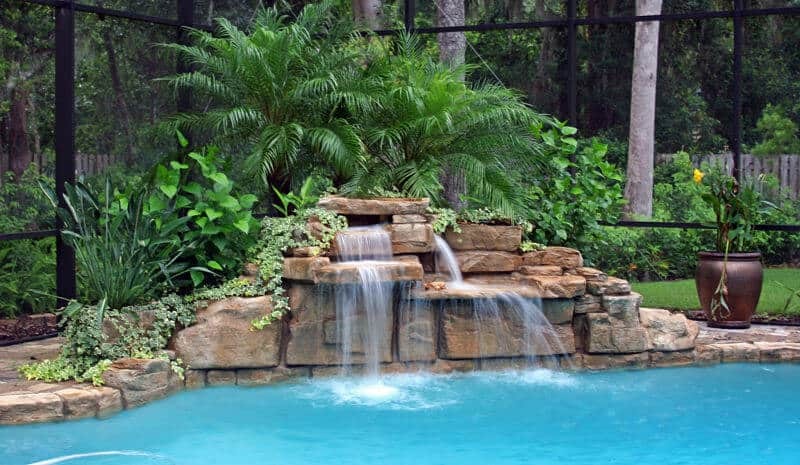 Classic pool waterfall that has a sheet fall with enough water flow (50gpm). 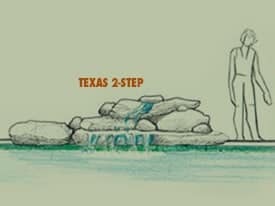 Perfect proportions for most swimming pools. 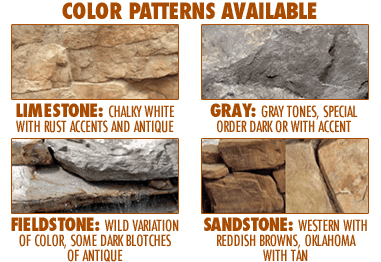 Five base pieces allow for installation on a radius or a corner. 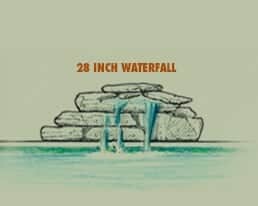 Our most popular low profile waterfall design features a 7 ft wide ledger. 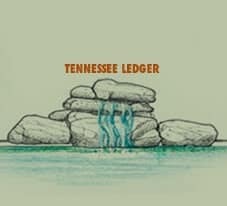 Available with a lift kit for additional height. DIY friendly kits consisting of one or more lightweight cast concrete pieces that can be secured with construction adhesive or mortar. 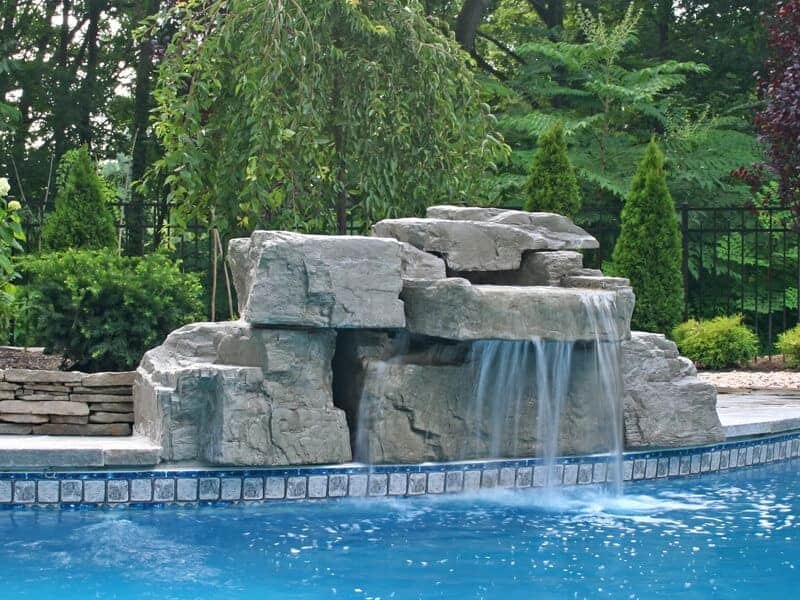 Several coping styles are available for all types of pool construction. 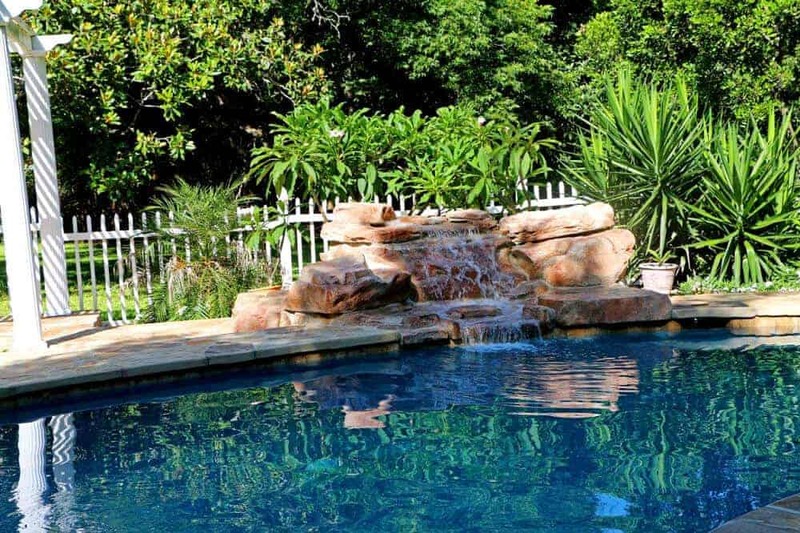 RicoRock Coping creates an old world cut stone look for a pool perimeter and is often used in remodels. 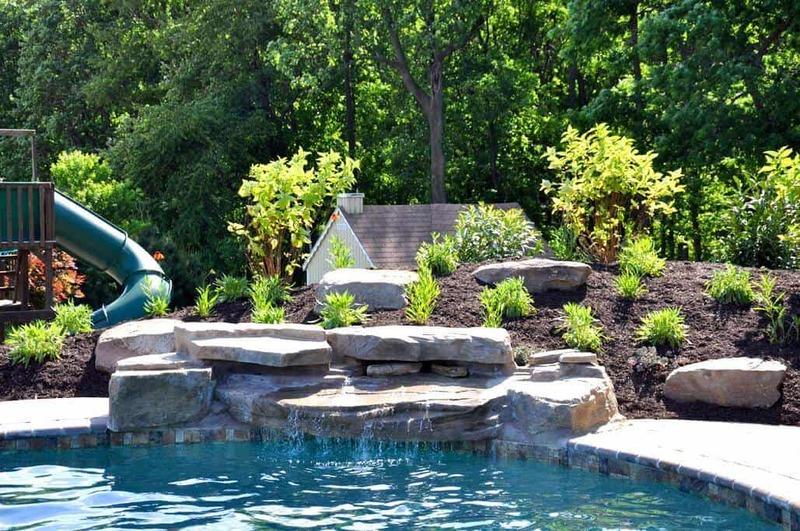 Artificial rock boulders can be decorative or used for any normal pool activity. 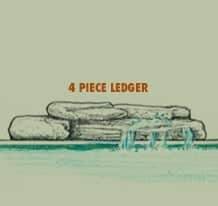 Notched boulders have a lip so they appear to be built into the pool wall.